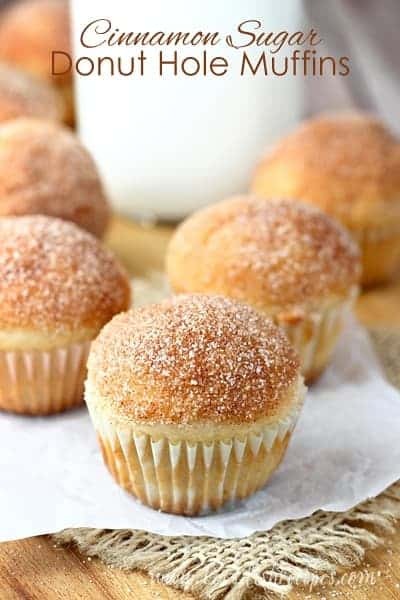 CINNAMON SUGAR DONUT HOLE MUFFINS — These tasty little muffins have the texture and flavor of cinnamon and sugar coated donut holes, without all the work. 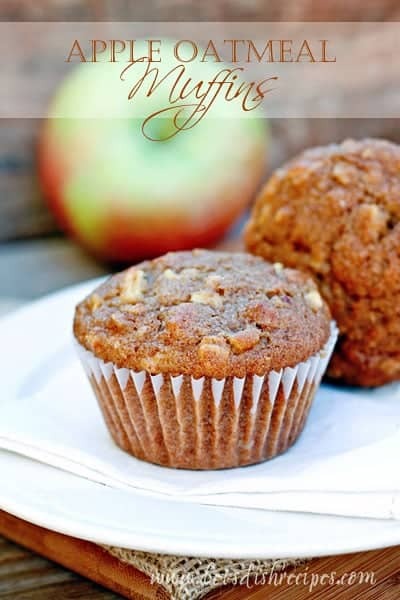 Great for breakfast and after school snacking! All right, let’s just get this out of the way. 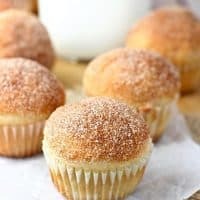 These Cinnamon Sugar Donut Hole Muffins are the cutest little muffins I’ve ever made. And yes, they’re also delicious or I wouldn’t bother sharing them with you. Not only do they look like donut holes, they taste like donut holes. Really. The resemblance is uncanny. I went the easy route with these mini muffins and coated them in cinnamon and sugar. And yes, you do have to dip them in melted butter to get the cinnamon and sugar to stick. Yum! But you could also go with a traditional donut glaze–or even a chocolate glaze. In fact, you could bake up a batch of donut hole muffins and then put a variety of glazes and coatings on them. Trust me, everyone will love you if you do! 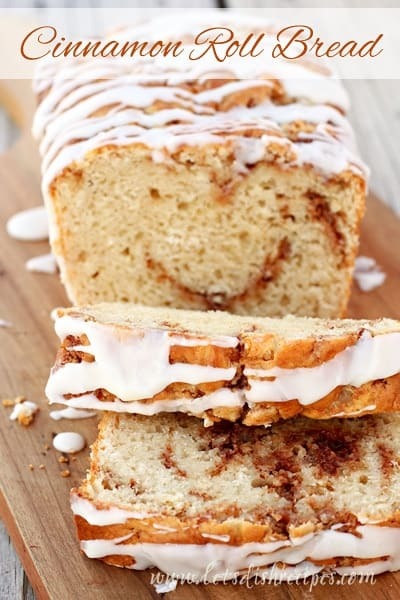 But if my family’s reaction is any indication, people will love you quite a bit if you just make this cinnamon and sugar version. To say these disappeared quickly at my house would be a huge understatement. We ate these little muffins for breakfast, after-school snacks and everything in between. I really love how these muffins get such a high dome. That’s what makes them look like donut holes, after all. And it’s achieved by the high cooking temperature. So yes, you really do want to turn your oven up to 425 degrees. If you prefer a full-size muffin, you can definitely bake these in a regular muffin tin. They won’t look like donut holes, but they’ll still taste like donuts! 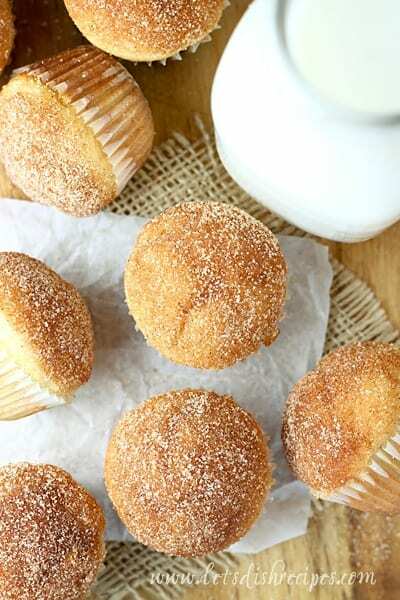 Be sure to save this Cinnamon Sugar Donut Hole Muffins recipe to your favorite Pinterest board for later. These cinnamon and sugar coated mini muffins look and taste just like donut holes! Preheat oven to 425 degrees. Lightly grease a mini muffin tin, or line with paper liners and grease the liners with non-stick cooking oil spray. With an electric mixer, cream together the vegetable oil and sugars till smooth. Add the eggs, beating to combine. Stir the flour into the creamed mixture alternately with the buttermilk, beginning and ending with the flour. Spoon the batter evenly into the prepared pan, filling the cups nearly full. Bake for 13-15 minutes or until muffins are a pale golden brown and a toothpick inserted into the middle of one of the center muffins comes out clean. 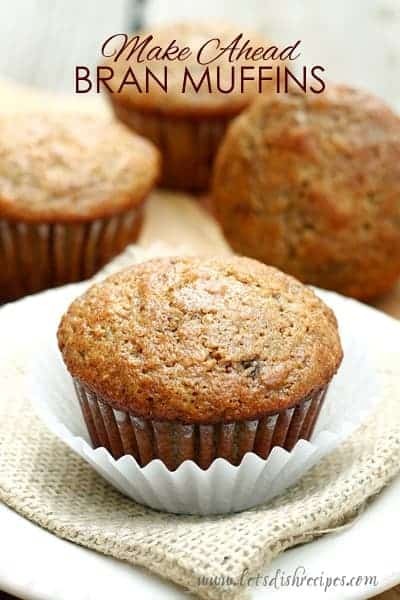 Remove muffins from oven and let them cool for five minutes on a wire rack. While they're cooling, melt the butter for the topping in the microwave. Stir together the cinnamon and sugar. Just made these today and OMG, they are so soft and fluffy! For buttermilk, I used 1/4 cup milk and 3/4 cup plain yogurt. Will definitely be making this often…luv it! Thank you for sharing!